Bowl made of ceramic stoneware. Oven, microwave, dishwasher, and freezer safe. 7.75"Dia. x 2.5"T; holds 1 quart. Made in Portugal. 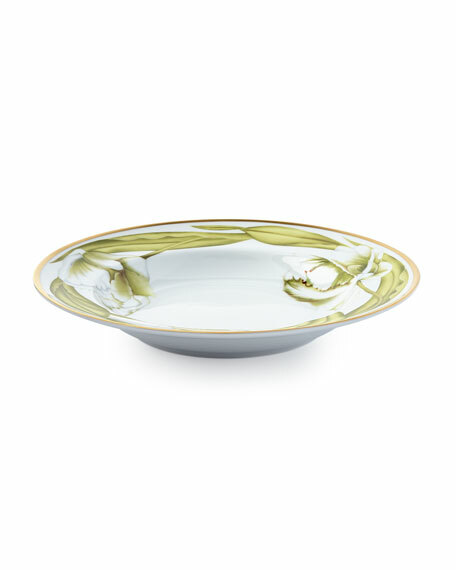 Limoges porcelain soup bowl. Hand-painted 24-karat gold rim. 8.5"Dia. Holds 16 ounces. Not microwave safe. Dishwasher safe. Made in Portugal.